Android offers a plethora of features and customization options that make it a favorite among millions of smartphone users worldwide. However, the one feature that is conspicuous by its absence is a true native dark mode, even though it remains at the top of most users’ wish-list. 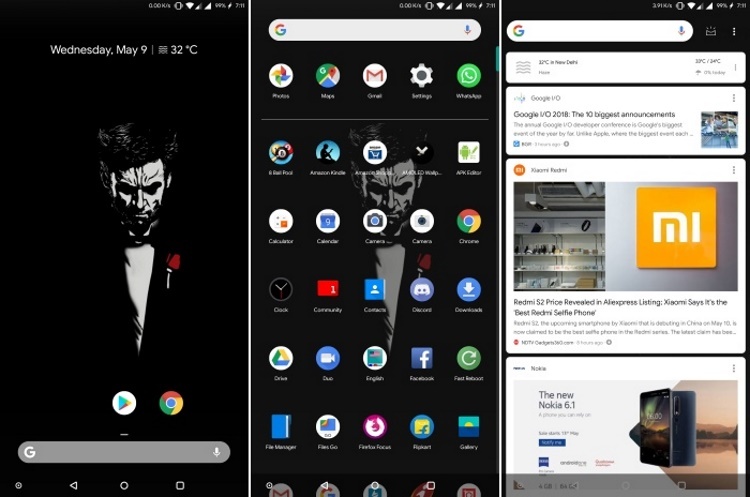 What Google did do with the release of the Pixel 2 series, however, was add light and dark themes that change automatically, depending on the wallpaper. As things stand now, if the wallpaper features light or neutral colors, the Pixel Launcher uses a light theme, and if the wallpaper is predominantly dark, then the Pixel Launcher uses a dark theme. All this, however, happens automatically, with the users not having any say in the process. Thankfully, though, that’s all set to change now with a Googler revealing that the Pixel Launcher will feature an option to toggle between light and dark themes in the future. As it turns out, someone added an issue-tracker item to the Android P developer preview in March, requesting a manual toggle. The issue has now been marked as fixed by a Googler, who said that the new feature can be found under Settings -> Display -> Device Theme in a future Android build. While this will still not be the true system-wide native dark mode that most users have been clamoring for, it is still being seen as a step in the right direction by users. Google has not officially shared any information about when it will roll out the new feature, but given that the company has confirmed its implementation in a future Android build, we can expect the feature to definitely be a part of the eventual stable release of Android P that will be rolled out for users around the world.